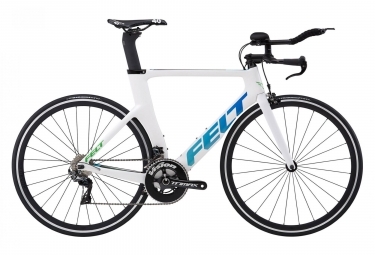 The Felt B12 presents one of the most aerodynamic frame ever created! It is mounted with high-quality Dura-Ace components by Shimano, 11-speed microSHIFT controllers and a 52/36-tooth TriMax Pro crankset by Vision. You will win thanks to it some precious seconds or minutes on your next competition! The TTR3 wheels guarantee even more aerodynamics!